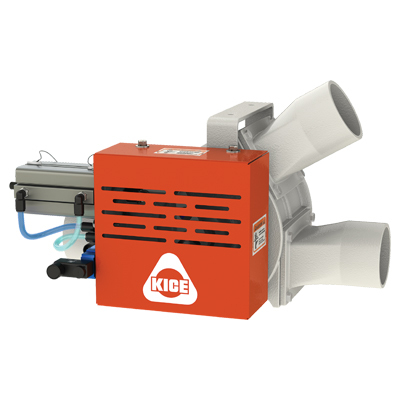 Kice 67 Series diverter valves and 68 Series bin valves are heavy duty, cast iron valves with tightly-machined clearances; meeting the critical need to terminate a pneumatic conveying system at multiple destinations. Kice has built these values for more than forty years. 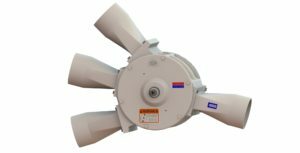 While raw materials and controls have improved over the years, the simple design and function remains the same and continues to prove effective in thousands of applications worldwide. 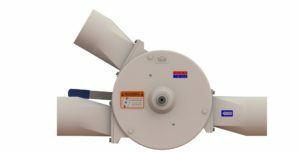 Reduces wear on the leading edge of the diverter blade. 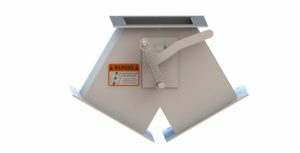 All guarding has been engineered to remove potential pinch points, finger entry and equipment protection per safety standards ANSI B11.19-2010 and OSHA 1910.219. Helps operators easily determine proper diverting location without accessing unit and taking the equipment offline. Helps prolong the life of the equipment and better ensures correct blade alignment. 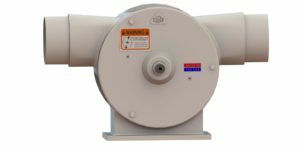 Converting a manually controlled diverter valve to an automatic valve is simple. The guard’s backplate mounts to the existing endplate bolt hole pattern. 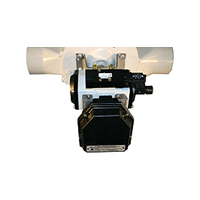 Conversion kits are available for mounting the controls on either side of the valve. Diverter valves and bin fill valves experience constant contact with product moving through them. It makes sense to invest in heavy duty, cast iron valves that can withstand the wear and tear of product flow. These valves are designed to handle pressures as high as 15 psi. They are machined with close tolerances so that product cannot reach the bearings that support the shafts. There are no “O” rings or seals to wear out. 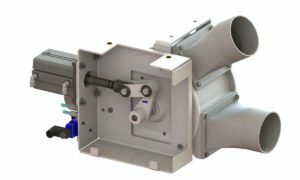 The 67QX-2 diverter valves have two outlets providing a straight through passage with a single 30 degree branch. 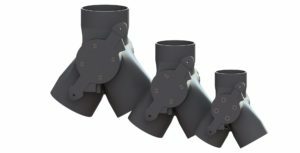 The 67QX-3 diverter valves have three outlets providing a straight through passage with two 30 degree branches. 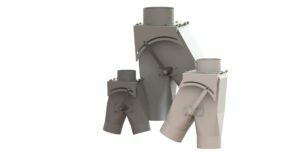 The 68QX bin fill valves are used in sequence with one another providing either a straight through passage or a downward, fill position. Manual controls are the simplest operation. A handle locks the valve in the desired position. 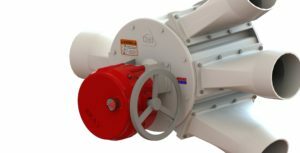 Pneumatic actuators with electric solenoids are the most common type of controls. Electric controls are available when compressed air is not available and remote control is needed. Position Indicators electrically rated for non-hazardous or hazardous locations are available with any type of control package. Options include limit switches or proximity-type sensors. 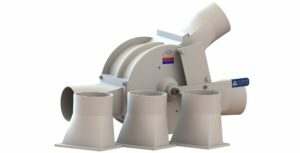 Cast iron bodies, end plates and rotor from Kice’s foundry are standard. Rotors have closed ends to protect the bearings from pressure and product. Heavy duty ball bearings support the shaft and provide years of dependability. 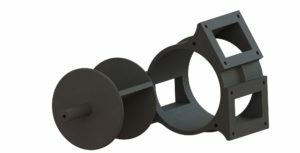 Bolt-on transitions are cast iron, machined units just as strong as the valve itself. 55A valves are cast aluminum diverters used for gravity flow applications. 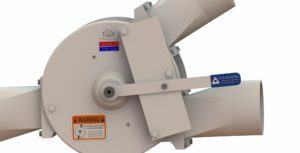 Manual or automated in 4″, 5″ or 6″ diameter. 56B bucket valves are used for gravity flow applications that require large diameter spouts. 51/52/53 Series valves are fabricated diverter valves that are used as another option for gravity flow applications and are also used as splitters. Available in aluminum or steel.